The increasing focus, in recent years, on Upset Prevention and Recovery Training (UPRT) as a key safety goal in training for professional pilot licences, whose specifics are discussed elsewhere in this issue, is certainly something to be welcomed. The safety spotlight shifts from place to place as aviation evolves. For a long period, after the birth of aviation more than a century ago, ‘safety’ was centred on manual aircraft handling and navigational skills, tacitly accepting an underlying assumption that some pilots were simply better than others, and the sole guardians of safe flight. The post-World War II air travel boom sparked more intensive research into psychological and systemic elements in safety. Although slow enough to emerge into practical operations, they eventually opened the door to the current emphasis on human factors, both in the practices of the individual pilot herself, and in embedding organisational concepts such as Standard Operating Procedures (SOP), Crew Resource Management (CRM), and Safety Management Systems (SMS). During all of this period the business of flying itself was becoming more and complex, as the insatiably increasing demand for air travel necessitated more of everything: more destinations, more seats (ie larger aeroplanes) more altitude, more speed, more economy. Relentlessly increasing demands on the skills of pilots were also attended by many technical advances. For aircraft control the most important of these was the development of autopilots and increasingly sophisticated flight management systems, introduced to reduce the burden of various physical and mental inputs into the pilot’s overall supervision of a flight. But this technical era has also engendered its share of problems: while machines and automatic systems relieve pilots of some of those motor-skill and mental aspects of flying, they necessarily affect, often reducing through lack of practice, the handling skills of individual pilots themselves. During this period Loss of Control in Flight (LOC-I) overtook Controlled Flight Into Terrain (CFIT) as a leading cause of airline accidents. The “automatics” have increased situational awareness, but only in parallel with a reduction, for many pilots, in hands-on ability to fly the aircraft. Thus the modern pilot finds him or her-self sitting at the centre of an intricate web of human / machine / system interfaces, doing their best to retain complete command of the skills (or indeed the permissions) required to fly. It is challenging enough even in the normal flight regime: experienced captains have voiced concerns about the lack of confidence in many junior pilots to take fully manual control of large public transport aircraft, during what would once have been regarded as everyday tasks. Something as fundamental as flying a visual approach can become a serious challenge to pilots not used to executing them. This has led the leading regulatory agencies to recommend an increase of manual handling practice in both initial type rating and recurrency training. To that extent pilots have reclaimed some of the right to be able to fly the aircraft directly by themselves during normal operations. The UPRT training initiatives have effectively extended that “right”, indeed necessity, into the non-normal regime. The currently-recommended protocols have taken some time to settle, affected by issues such as the fidelity of simulators outside the normal flight envelope, the peculiarities of high-altitude aerodynamics, and the validity of training, in light aircraft, manoeuvres which will be required to be flown in large, heavy, airliners. Instructors training pilots ab-initio in basic flying skills may feel left somewhat out of this loop, given that UPRT is presented as a later, specialist element in the syllabus, requiring suitably qualified trainers. However from the beginning there are many opportunities for instructors at all levels to contribute to the success of these programmes. Key among these are an insistence, from the get-go, on deep understanding by students of core flying skills, and on exactitude in their practice. A significant part of the UPRT programme is based not just in actual handling but on meaningful academic comprehension of the aerodynamics and control techniques involved in recovery from unusual attitudes and energy states. An equivalent focus by instructors on imparting and testing aerodynamic concepts during early training, will lay invaluable groundwork for this more advanced learning. For this to be fully effective, instructors who are not directly involved in delivering formal UPRT training, should nonetheless familiarise themselves with its elements. Thus, during early stall/spin and unusual attitude recovery training, commercial students could be imparted an accurate picture of what is to come later, and also a hunger for deeper learning when the time comes for UPRT. For this to be effective it is important that course designers ensure that there are no conflicts between both sets of training goals, for instance between the understanding of differences between straight- and swept-wing aerodynamics, or between specific recovery techniques in different types and sizes of aircraft. While many pilots have welcomed this resumption of a need to hone their manual skills, both in normal and non-normal operations, still the question must be posed, is it just a temporary re-visitation of old-time piloting qualities, while we nervously await the next generation of automatic control? Because increasingly, the ideas of manufacturers, regulators, and operators, as to what “flying an aeroplane” really means, are driven by statistical and technological considerations. 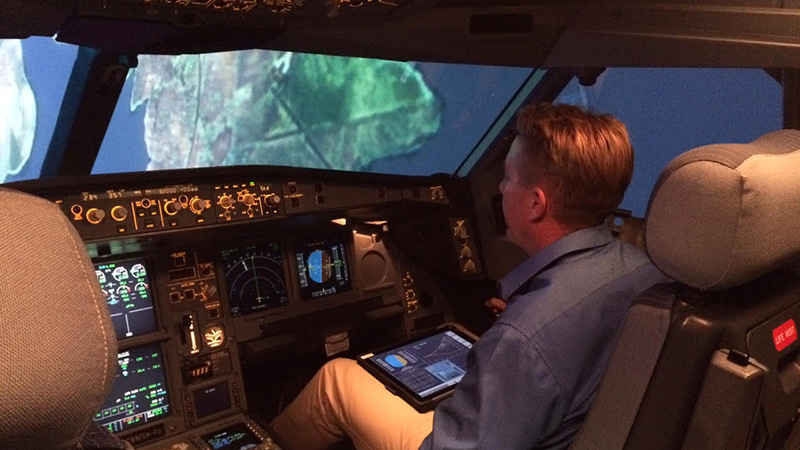 If, in the next generation of machine-controlled flying, it can be shown numerically that not just operations in the normal flight regime, but also in non-normal, emergency procedures – including Upset Recovery – are better directly handled by algorithms than by hands-on interventions by real people, then the exact role of the pilot will be further called into question. Manufacturers are already touting the single-pilot cockpit as the next item in cost-reduction and are quietly demonstrating them to potential airline customers. Students embarking on flying careers would do well to study these issues, which are as much economic and political as they are aeronautical. Because they will surely be impacted by them in the near future. And not just to study them, but also to contribute energetically to the evolution of new concepts of what the job of flying aeroplanes will consist of in the coming age. Unless a new generation of pilots becomes involved in shaping the definition of their profession, and not leaving it solely to bean-counters or regulators, they will risk becoming more and more redundant. It is good to be “handed back the controls” by UPRT, at least for those attention-grabbing moments of regaining command over one’s flightpath in an extreme situation. At the same it is evidence of a fundamental struggle at the heart of aviation, indeed of many complex human activities: the clash between automation and human agency. For the time being, we are back to a degree of respect for handling – but will the algorithms ultimately win out? Only time, and the passion and imagination of future pilot leaders, will tell.